Here is the last in this occasional series of Island Voices. Tomoko Uehara is best known as the leading voice of Okinawa’s Rinken Band, who famously popularized Okinawan roots music to wide audiences by mixing it with a large dose of pop music and making a bright, danceable show. Uehara is the focus of the band, especially when she sings the slower songs in her inimitable and immediately recognizable voice which stretches and lengthens the words she sings in a unique way. The band was formed by her husband Rinken Teruya back in the late 70s and it was greatly strengthened when Tomoko joined them in 1988 as a singer and shimadaiko (island drum) player. But Tomoko Uehara is not just a member of a successful band and she already had a lengthy career in music which began at a young age. She was born in 1958 in Itoman on the south coast of Okinawa and started singing at the age of six, later joining her family’s own band which was named Itoman Yakaras. Since joining Rinken Band and making numerous CDs with them she has also made five solo albums. She is an accomplished singer and sanshin player in her own right too who has sometimes performed traditional songs as a solo performer. She recorded her first solo album Zan in 1997 on the Sony label and it has since been re-released by Rinken Records. It was a landmark album and still stands up as her finest achievement. Produced by husband Teruya, it’s an adventurous collection which includes some unusual arrangements and guest musicians such as African guitarist Mamadou Doumbia and Irish fiddler Nollaig Casey. The following year she made Voyage which jointly credits her and Teruya as featured artists. Her 3rd album Kunachi comprised Okinawan songs with simple acoustic guitar backings which worked unusually well. A 4th album Umachi was released in 2004 and her latest album is the simple Takouyama (2009) – a back to the roots collection with only sanshin accompaniment. She has also appeared on several DVDs including the excellent film Tink Tink and a documentary focusing on her life, Ajima no Uta. Tomoko Uehara’s work with Rinken Band has taken her overseas to many parts of the world on numerous tours but she still finds time to personally make all the colourful outfits worn by herself and the other band members. She often appears on stage as a member of Rinken Band at the club they run in Chatan called Kalahaai. 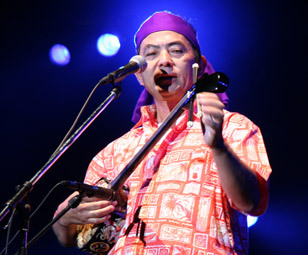 Masao Teruya is an Okinawan singer and sanshin player who has been around for a long time. While never achieving the fame of some other singers of his generation he has become very familiar through his many radio and television appearances. Born in 1939 in Yomitan on the main island of Okinawa, he studied minyo from Rinzan Teruya the grandfather of Rinken Band’s Rinken Teruya. (The family name is a common one in Okinawa and Masao is not related to these Teruyas). Later, he played sanshin regularly with Seijin Noborikawa, and he also studied to become a teacher of the Nomura school of Ryukyu classical music. Teruya is quite different from other minyo singers as he has always concentrated on uptempo songs with a strong sense of humour and playfulness. In this respect there is some similarity with his namesake Rinsuke Teruya. He soon began writing his own songs and had big hits in Okinawa with two of them. The first was ‘Tururunten’ and then another song, ‘Chon Chon Kijimuna’, became widely popular. Teruya also has a career as both a sanshin maker and teacher and has taught sanshin to several Japanese musicians, including the late singer Donto. His own radio show ‘Minyo no Hanataba’, on local Radio Okinawa, has run for over 30 years. Numerous appearances on stage and television culminated in a leading role in the 2003 movie ‘Hotel Hibiscus’ which was directed by Yuji Nakae. Following his success in ‘Hotel Hibiscus’, Teruya went on to record a solo album called Chon Chon Kijimuna for Campus Records – Nakae wrote the liner notes for the album. The album contains 15 tracks – some traditional but most of them originals – and is an excellent introduction to his musical style. He sings some songs with just sanshin accompaniment and others with a local shimauta backing group including bass and drums. There is a more serious side to Masao Teruya too and he has involved himself with the annual Peace Music Festa which aims to focus attention on the problem of the American military bases and in particular on the proposed move of the massive Futenma air base to the northern coastal village of Henoko. He appeared at the first two festivals on Henoko beach in 2006 and 2007 and also opened proceedings for the 2009 event in Ginowan. 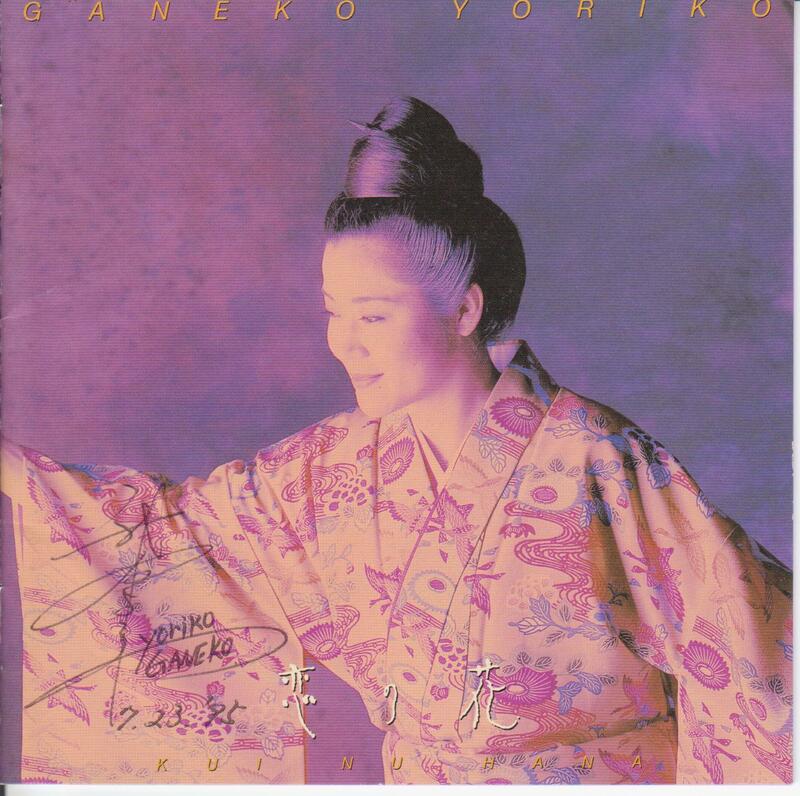 Yasuko Yoshida is best known to most Okinawan music fans as one of the founder members of the group Nenes who were enormously popular throughout the 1990s. Along with Misako Koja she was a senior member of the band whose phenomenal success has never been matched by subsequent line-ups of the female quartet. 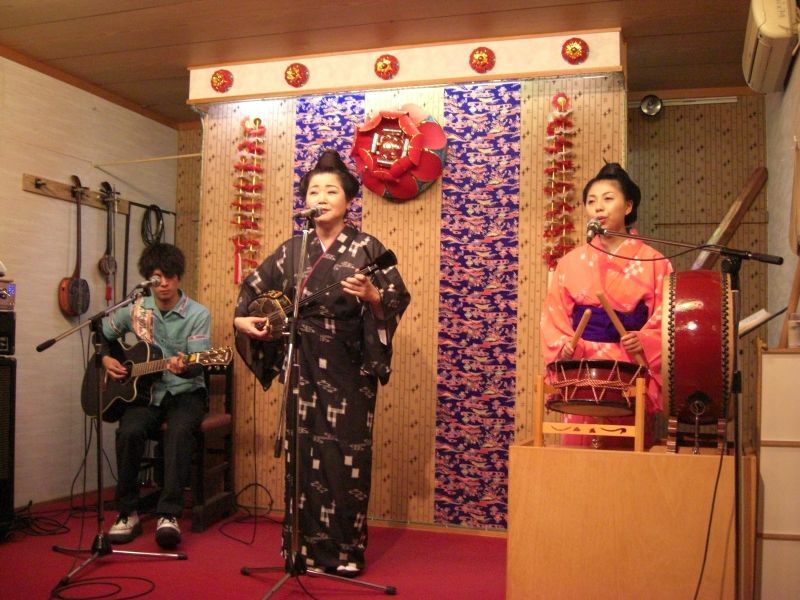 Unlike Koja, she has not gone on to a high profile solo recording career but has nevertheless remained active as a singer and sanshin player and her clear, strong and distinctive voice can be heard regularly at Sadao China’s club Shimauta on Naha’s Kokusai-dori where she sings once a week. She also has a hand in coaching and guiding the newer members of Nenes. Yoshida was born in Nago in the north of Okinawa’s main island and grew up surrounded by Okinawan music. From 1990 to 1999 she was a member of Nenes but during this time she also released a solo album Ijaibi, which came out in 1997 on the Marufuku label. Nenes helped out with backing vocals and mentor Sadao China also put in an appearance. It was a successful album but since then the only other solo release has been Yanbaru nu Hana her second solo album in 2001, also on Marufuku. On this album she sings a number of songs with strong traditional roots but there are also a couple of songs (including the title track) written by Bisekatsu and Sadao China, and a song by Teihan China. Yukino and Namiko from the original Nenes line-up supply hayashi (backing vocals). Yoshida has a brilliant voice and a great knowledge and understanding of traditional Okinawan songs. The fact that she has recorded only a couple of solo albums means she is somewhat less known outside Okinawa than some other female singers. She appeared again recently as a singer on several tracks on Sadao China’s 6 CD box set Shimauta Hyakkei which won a Japanese national record award. In addition to singing at Shimauta she also runs her own club together with her husband in Nago. When I first met Nenes back in their early days, I interviewed Misako Koja and Yasuko Yoshida for a magazine article. I asked them if they ever played in front of foreigners. Yoshida was quick to reply: “If you mean Japanese, then yes, we get a lot of them at our concerts”. Expanding on her theme she added: “I’m not Japanese at all, I’m Okinawan. I think of Japanese as foreigners.” She went on to explain how she and others of her age were forced as schoolchildren to speak only standard Japanese and were made to feel their own language and culture were inferior. But at home she quickly slipped back into speaking Okinawan. Yoshida has almost certainly forgotten this little exchange but I remembered and included it in The Power of Okinawa book. It reveals a lot about a strong woman who is a fine singer steeped in the traditions of Okinawa and still performing at her peak long after the Nenes years. Tetsuhiro Daiku was born on the Yaeyama island of Ishigaki in 1948. For many years he has been one of the greatest interpreters of songs from these islands in the far south of the Ryukyus. At various times his music has also incorporated elements of rock and jazz, as well as songs from mainland Japan, and from many of the other Ryukyu islands. Daiku moved from Ishigaki to Naha in Okinawa at the age of 19. In 1970 he won the NHK national radio and television minyo contest and went on to make several albums for local island labels as well as appearing on mainland Japan at some of the early Ryukyu Festivals. In the 1990s he found the opportunity to develop his musical career further by playing with many different musicians. A crucial meeting occurred when he met the Japanese musician Kazutoki Umezu, who played saxophone and clarinet and had a background in jazz. 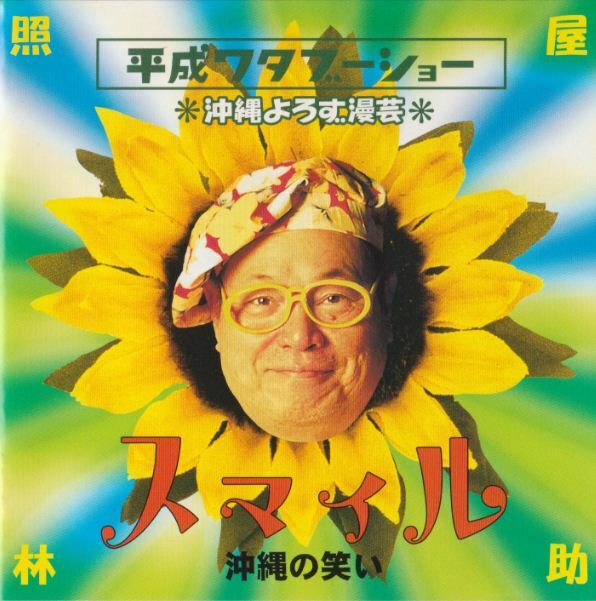 Umezu added some startling new arrangements to a collection of Yaeyama songs which Daiku eventually released on Off Note in 1993 as Yunta and Jiraba. 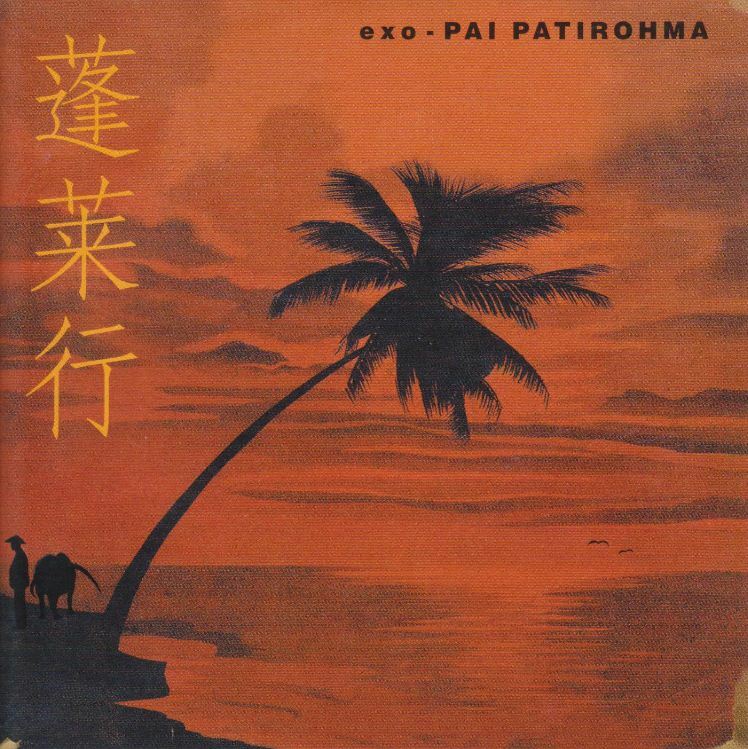 This remarkable album led to a follow-up, Okinawa Jinta, in which some Japanese songs were included. These were old songs that Daiku had been forced to learn as a schoolchild when Okinawan songs were discouraged or banned at school. He had liked some of them and they were eventually to turn up again done in his own way on this album. The 1996 album Jinta Internationale took the experiments further still and many of the songs were performed with a strong influence from the klezmer-like Japanese chindon style. He released Agarooza in 1998 which had a rock flavour and also featured synthesizer and sampling. 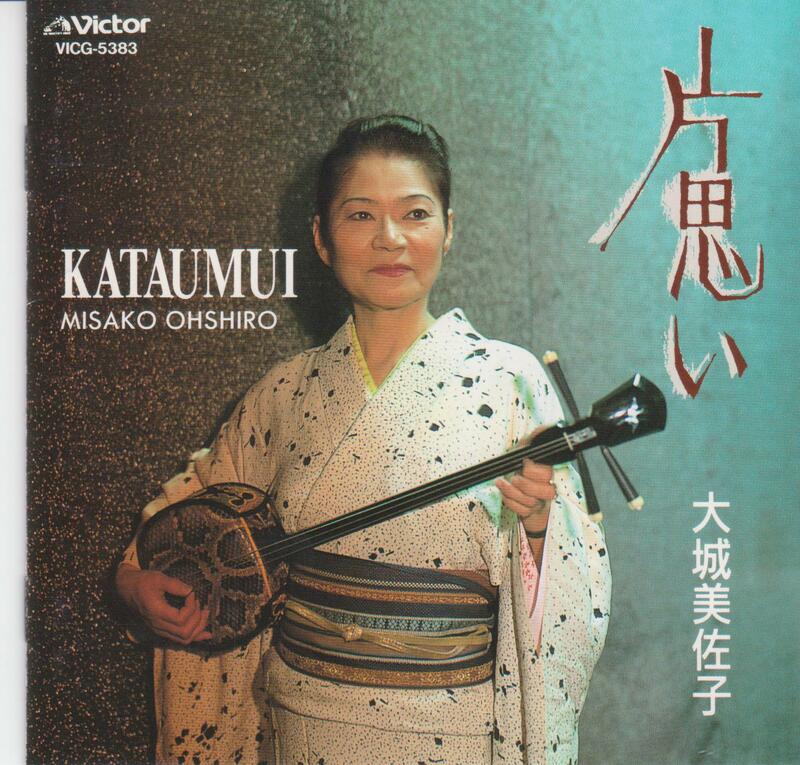 In contrast he had made the austere but brilliant Daiku Tetsuhiro album in 1995 with just sanshin accompaniment and his wife Naeko’s backing vocals. He has also made a series of four albums of traditional songs played very simply, for the Disc Akabana label. Most interestingly, his 2003 release on Off Note was an ambitious double album running to almost two hours of music and entitled Exo-Pai Patirohma. On this Daiku performs many different styles including Okinawan and Japanese songs, a jazz instrumental, and songs from Taiwan and Hawaii. Nearly everything works and this is a truly ‘world music’ album. Three years later he made the strongly chindon influenced Jinta Wonderland together with the band Chindon Tsushinsha, which contained comparatively little Okinawan music. His latest release finds him experimenting again, this time with Indonesian musicians in Bali, on the very basically recorded Gamelan Yunta. Daiku continues to perform regularly and is also a teacher of the sanshin. One of his most recent appearances was at the ‘Sanshin no hi’ event in Yomitan in March this year. Most Okinawan music fans would include Yoriko Ganeko in any list of the top female singers of traditional songs and it’s possible to test that claim by catching her at one of the two venues she sings at on Okinawa’s main island. 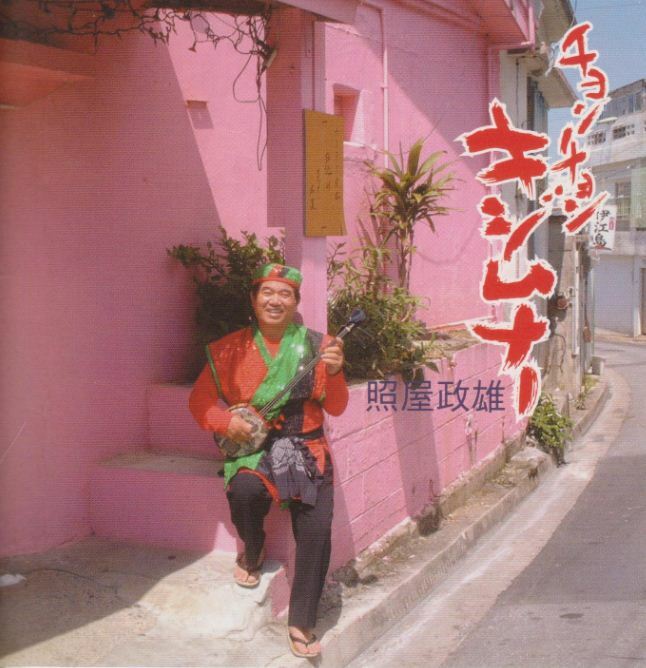 Like many Okinawans, Ganeko comes from a musical family and began singing early. Her father Seiei Ganeko was one of the singers brought up alongside the greats such as Rinsho Kadekaru and Shouei Kina, and Yoriko sang with him from the age of ten. In 1977 she released her first single ‘Jyoko Bushi’. The following year another single, ‘Musume Jintoyo’, became a big hit around the islands and is still fondly remembered and frequently performed today. Soon after this success she toured Brazil and Argentina with her father, and by 1988 she was touring overseas again, this time in the USA as part of Ryuichi Sakamoto’s ‘Neo Geo’ tour. In 1990 she joined Sakamoto again for his world tour ‘Beauty’ when she appeared on stage with Misako Koja and Kazumi Tamaki as one third of the Okinawa Chans. She also went to England in 1991 to take part in the Japan Festival, and collaborated with Irish musicians The Chieftains when they came to Japan, playing with them in Tokyo. A full length joint album was undertaken in 1993 when she went to Paris to record with the French punk band LSD – a most unlikely pairing. Unlike some of the livelier, raw singers of Okinawan minyo, Ganeko exudes a refined gracefulness which makes her meeting with the rowdy punk band all the more surprising. The album, Ganeko Yoriko Meets LSD, was the idea of the telephone company NTT and was one of a limited series of CDs on their Teledisc label. It’s a rarity now and Ganeko may well prefer it that way, though she sings her father’s song ‘Minami no Shima’ in an interesting ska version. In 1999 she joined up again with Ryuichi Sakamoto for his opera ‘Life’. Despite being one of the finest female singers of her generation she has yet to make an album that really does full justice to her obvious talents. Her best effort was the Kui nu Hana album released on VAP in 1995. Generally it’s rather over-produced with a liberal use of keyboards and strings but it includes a wonderful duet with Kazufumi Miyazawa on ‘Nishinjo Bushi’, and an unusual take on Miyazawa’s ‘Shimauta’. Best of all, there is an absolutely superb arrangement of the traditional ‘Nakuni’ which is almost worth the price of the album alone. In the 21st century she has collaborated on two albums with the Japanese acoustic guitarist Chuei Yoshikawa, both on the Respect label. The first of these, Uta Asobi, in 2002, was a rather bland, disappointing affair and the second Uta Asobi 2, two years later, was no better. Rinsuke Teruya was an Okinawan singer, musician, occasional actor and comedian. He is remembered as one of the first generation of shimauta singers who recorded and appeared at the original Ryukyu Festivals held on mainland Japan. Unlike most of the other great island voices he was known as much for his comic performances as for his singing and sanshin playing. Nowadays his son Rinken Teruya is well-known throughout Japan for his leadership of Okinawa’s popular Rinken Band, but father Rinsuke continued to perform independently right up until his death in 2005 at the age of 75. The Teruyas are a musical family who began with a music shop selling both sanshin and records and Rinsuke’s own father Rinzan was also a musician. Rinsuke himself first achieved popularity in Okinawa during the 1950s with his watabusho (watabu show) which is a style of performance he developed in which songs are interspersed with anecdotes, chat, and bits of comedy and satire in the Okinawan language. The biggest influence came from his mentor, the dentist and comedian Buten Onaha, who he had met while both were in a detention camp during the devastation of post-war Okinawa. Rinsuke Teruya’s themes frequently mocked the unenviable situation in which his island people found themselves the victims of Japanese and American power, but always using laughter as his main weapon. His style of talk and song could still be heard as recently as 1998 when he released the album Smile. An amiable, slightly eccentric figure in multi-coloured hat and yellow-rimmed glasses, he also played his own modification of a sanshin which has four strings, and found time to be featured in a cameo role in the Okinawan film Pineapple Tours. He dubbed himself “President of Koza”, and was awarded the Okinawan Prefectural Achievement Prize in 2000. His Smile album was released by Omagatoki. Shortly after Rinsuke Teruya’s death the family’s label Rinken Records also made available two albums of his watabusho on CD as well as a live album, Ryukyu Festival ’74. This is a fascinating document of the performances at Hibiya Yagai Ongakudo in 1974. Rinsuke Teruya’s track is sandwiched between songs from Miyako’s great singer Genji Kuniyoshi and a youthful Tetsuhiro Daiku. Also released in 2005 was Victor’s five album Various Artists compilation Ogonjidai no Okinawa which collects Okinawan music of the 1950s and 60s. The 4th CD of this series, available separately, is devoted to Rinsuke Teruya and features the man himself on the opening track and then covers of his songs by the likes of Four Sisters, Rinsho Kadekaru, and Shouei Kina. 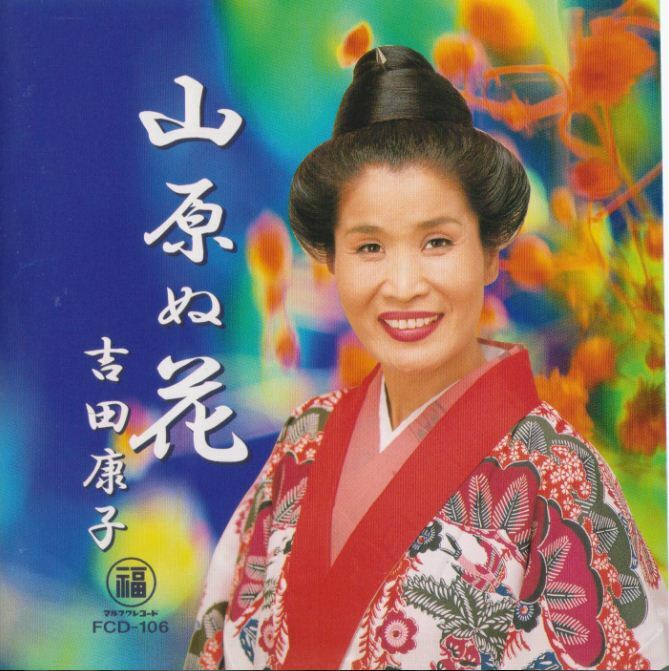 Misako Oshiro is one of the greatest singers of Okinawan traditional songs. Born in 1936 in the Taisho-ku district of Osaka, where large numbers of exiled Okinawans live, she moved to Okinawa when still a child and grew up on the north of the main island in the village of Henoko. She took an early interest in music and by the age of nine could already sing a number of songs. When she was 20 she began learning classical Ryukyu music, and later dance, and became a fan of both Shuei Kohama and Rinsho Kadekaru who were two of leading minyo singers and sanshin players of the time. While working in a restaurant in Ginowan she met songwriter and performer Tsuneo Fukuhara and it was he who encouraged her to begin a serious career in music. Oshiro became a pupil of Teihan China and in 1962 made her debut single with a recording of his song ‘Kataumui’. In 1973 she played with Rinsho Kadekaru in Tokyo and two years later she appeared at the Ryukyu Festivals held in Tokyo, Osaka, and Kyoto. In 1997 she had a 40th anniversary concert and the following year she played a leading acting and singing role in the Okinawan film ‘Tsuru-Henry’ by the director Go Takamine. She appeared later in a cameo role in another popular movie, ‘Hotel Hibiscus’. Rinsho Kadekaru was quoted as saying that Oshiro is the ideal partner for his singing and they also recorded many times together. Several of these recordings are available on CD on the numerous compilations of Kadekaru’s work which were released after his death. An album of Oshiro’s recordings from 1975 is also available on CD under the title Okinawa Urami Bushi which is Volume 3 of the Victor series Okinawa Shimauta. In 1994 she recorded the simple Kataumui (Unrequited Love) for Victor, an album which was dedicated to her mentor Teihan China. Another album Okinawa Sutandado was released on Abaser Records in 1999 and a later solo album Uta Umui came out on Tokyo’s Tuff Beats label in 2007. Last year she made a joint album – Futari Uta ~ Umui Keisho – together with the prolific young singer and musician Toru Yonaha, also on Tuff Beats. Misako Oshiro runs her own minyo bar, Shima Umui, which is in Naha and she still sings there regularly. At 74, her voice is not quite as strong as it once was but she remains very active as a singer and sanshin player and recently performed both solo and with her own pupil Kanako Horiuchi at a live house in Naha in support of Horiuchi’s band Ska Lovers.